This cartoon made my daughter and I laugh so hard. She plays the tuba because she was the only one who volunteered in 7th grade. (She's all of 5 ft tall!) Now she is in high school... and auditioning for drum major TODAY! 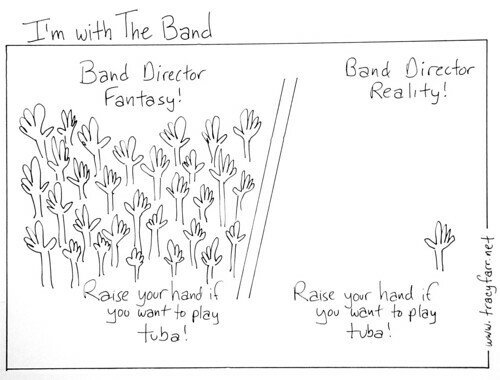 Keep sharing your band cartoons! Thanks Lisa. I'm glad you two enjoyed it. How did your daughter do at the audition?